← I Might As Well Rename The Blog “The MUNI Demolition Derby Chronicles”…. Guest Blogger Wednesday gives readers a chance to regale the Loyal Readers with tales of the neighborhoods, MUNI and more. Want to Guest Blog? Email me and let’s get you signed up! These days, anything “free” is nice, especially when it comes to finding something to do on the weekend. And “fun” is nice too, especially after all the crazy accidents and other crazy stuff going on around town. We need a break! Lucky for us, we’ve got quite a few fun free events this weekend, all around San Francisco, and easy to reach by even our hobbled MUNI. On Saturday and Sunday, we have two great street fairs, the Nihonmachi Street Fair in Japantown and the Pistahan Parade and Fair at Yerba Buena Gardens, which has like, a a bazillion MUNI lines that will drop you off over there. Both are really fun (but I’m not eating a balut, no matter how much people keep telling me it’s ok). Personally, I always like going to Japantown if only because it’s got sort of a retro 60’s James Bond in “You Only Live Twice” feel. (I keep looking for the Osato Chemical Concern logo…). All easily accessible by the 38 Geary and the 22 Fillmore. 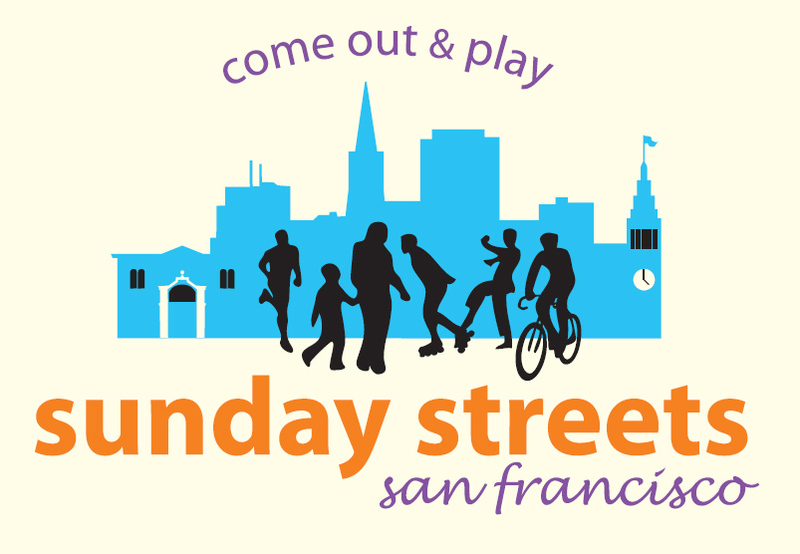 On Sunday, we’ll have all of Ocean Beach closed off for Sunday Streets SF from 10am to 2pm. Now, what you may not realize is that they’re coordinating the street closure with the regular one in the park, so you’ll literally be able to walk unimpeded from the Academy of Sciences to the Zoo, if that’s your thing. Here’s a map for your planning purposes. (Also, note that they’re going to repeat this closure on September 6th). Hopefully the N won’t die that day so you can avoid trying to find a parking spot way way out there. Sunday is also the same day as the Inner Sunset Really Really Free Market, located at 6th and Irving. (This is the house Greg refers to as the “House Formerly Known as the Yes We Can House.”) Located just a couple of blocks from the Inner Sunset Farmer’s Market, they offer free anything, including ice cream. How can you resist that? And the N and the 71 will drop you off over there. With so many fun free things to do, it’s hard to choose, but it certainly makes the weekend more fun. And even on our broken down MUNI, you can get to most of these events pretty easily. So go out and have fun, everyone! Editor’s note: if you know of other fun events around town, feel free to share them in the comments! UPDATE! : On Friday, August 7th, there’s going to be a “Renegade Film Screening” on the N and other Muni Metro trains, from 5ish to 9ish that evening. Talk about MUNI street theater! Let’s hope the cops and fare inspectors don’t totally shut this down the way they did those kids a few years ago. This entry was posted in Guest Bloggers, Guides, Links of Interest, Urban Life and Culture. Bookmark the permalink.